Which Renovation Costs $580m And Is 10 Times Bigger Than The MCG? CFS Retail Property Trust Group (CFX) and its major security holder Gandel Group have marked the start of construction works for the next evolution of the jointly-owned Chadstone Shopping Centre in Melbourne. The joint owners were accompanied by Victorian Premier Dr Denis Napthine, State Treasurer and Member for Malvern, Mr Michael O’Brien MP and Stonnington Mayor, Mr Adrian Stubbs to oversee an official soil turning ceremony which signified the beginning of the $580 million project. CFX Managing Director and CEO, Mr Angus McNaughton, said the project would deliver a new North Retail precinct including up to five international flagship stores, 40 additional retailers, a state of the art hoyts digital cinema complex, and a new 1,300 seat 20-plus tenancy food gallery, along with a 10-level office building, a 14-bay centralised bus interchange and 800 new car spaces. “Today marks the continued evolution of Chadstone Shopping Centre; one of the most highly visited retail destinations in the world, and the largest shopping centre in the Southern Hemisphere,” said Mr McNaughton. “We can proudly say that Chadstone produces the highest sales of any Australian retail centre and it continues to make its mark as Australia’s Fashion Capital. “The joint owners will invest $580 million to deliver this project which will create more than 2,700 direct jobs and 4,300 indirect jobs during construction. A further 3,400 direct and indirect permanent jobs will be created following the opening of the project, ” Mr McNaughton said. 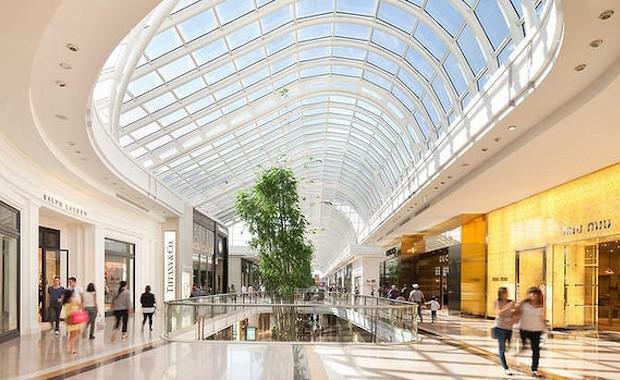 Chadstone Shopping Centre will be expanded more than 34,000 square metres, taking the entire shopping precinct to a total of more than 212,000 square metres.